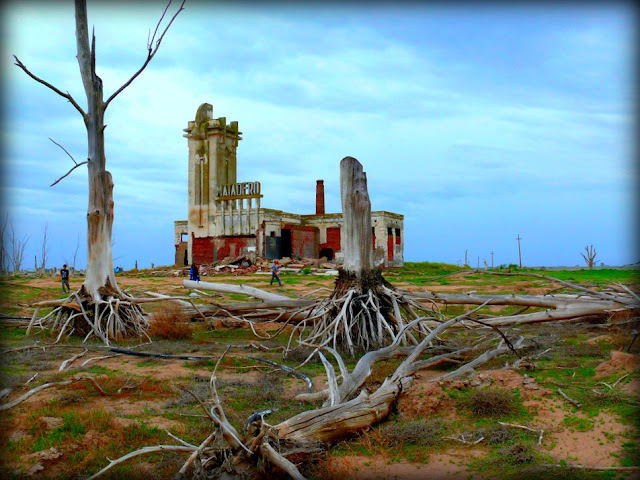 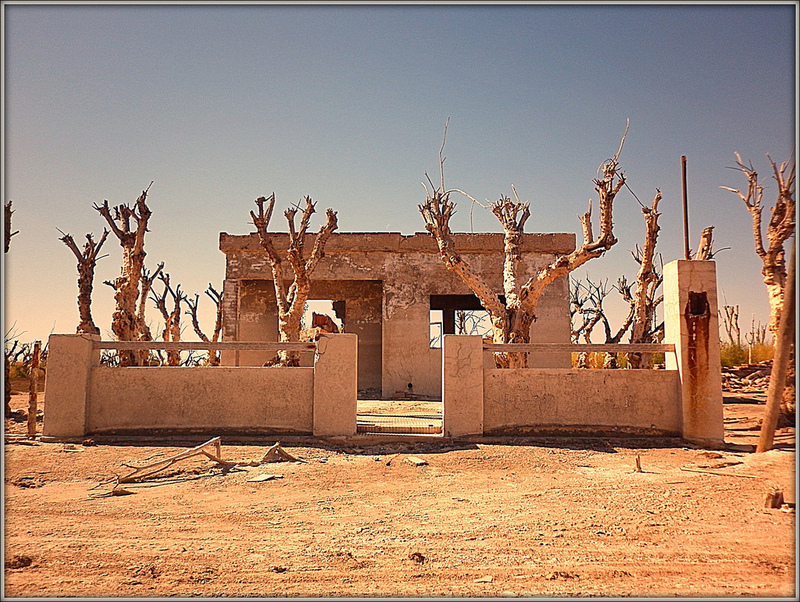 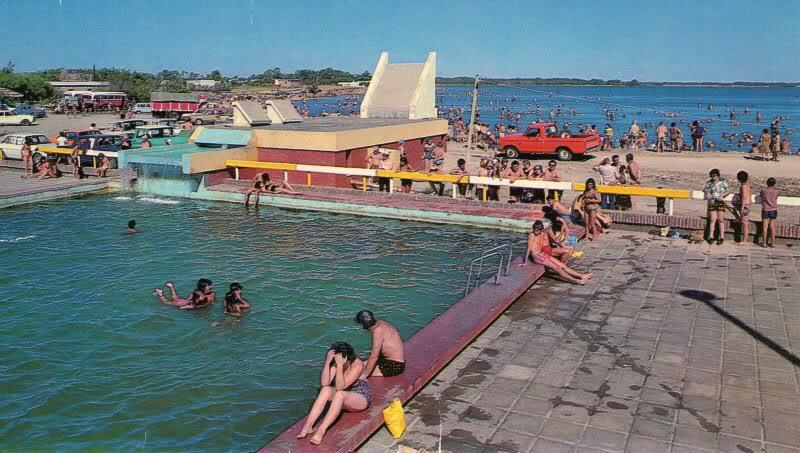 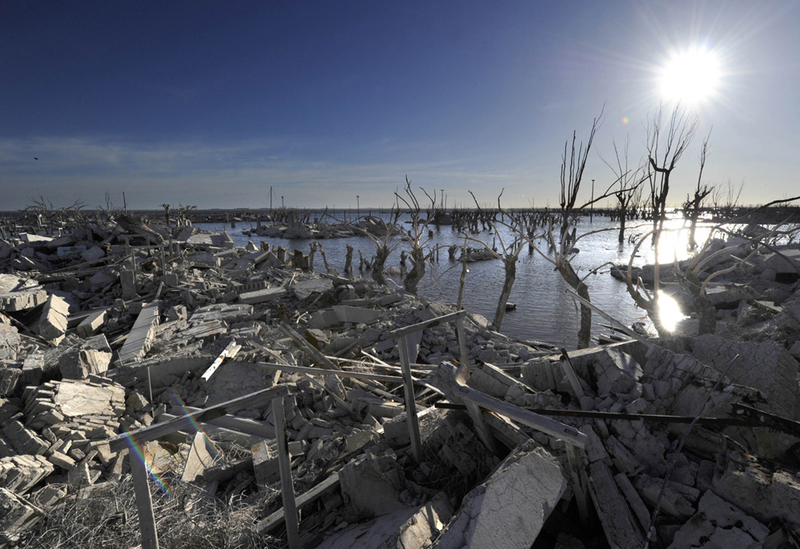 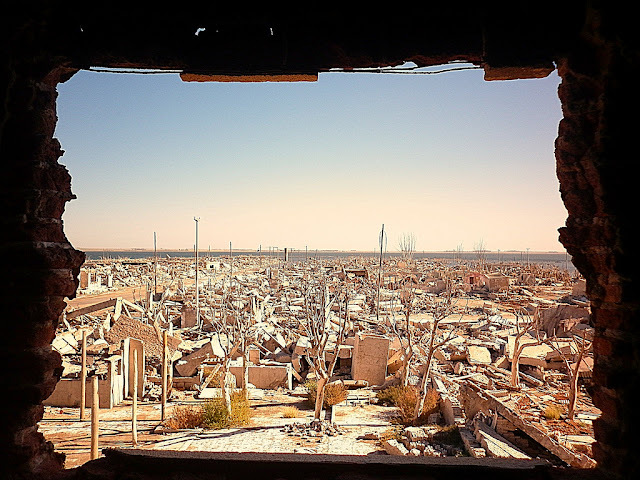 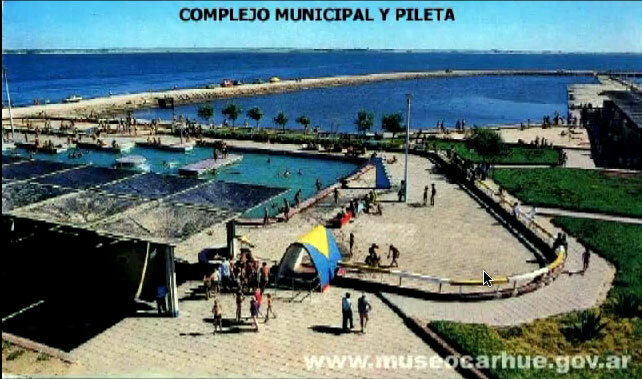 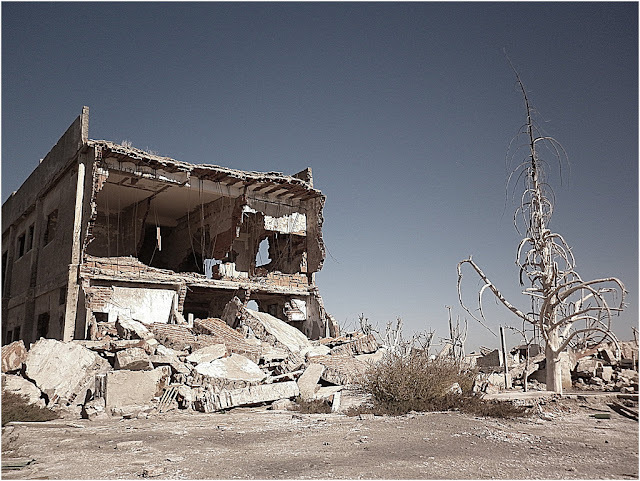 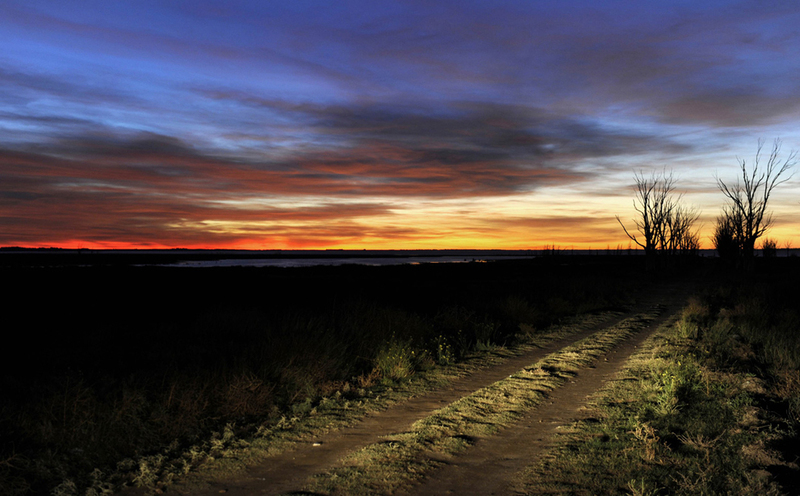 Villa Epecuén was a tourist village located in the Buenos Aires Province of Argentina. 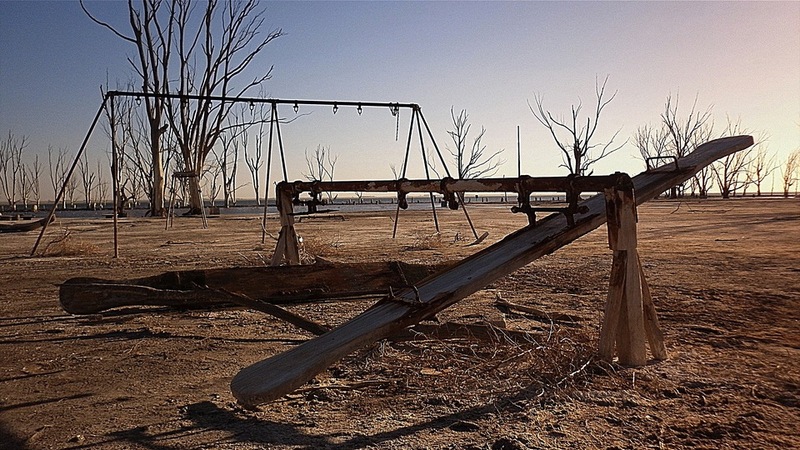 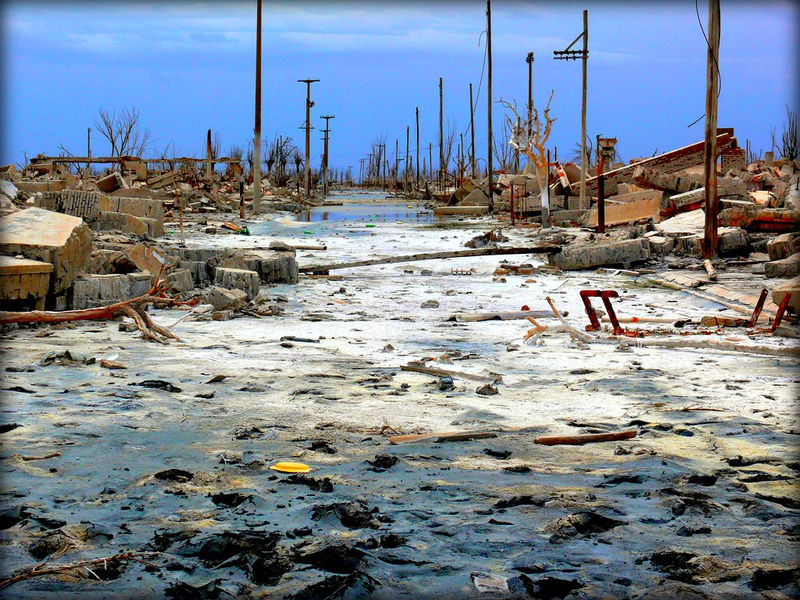 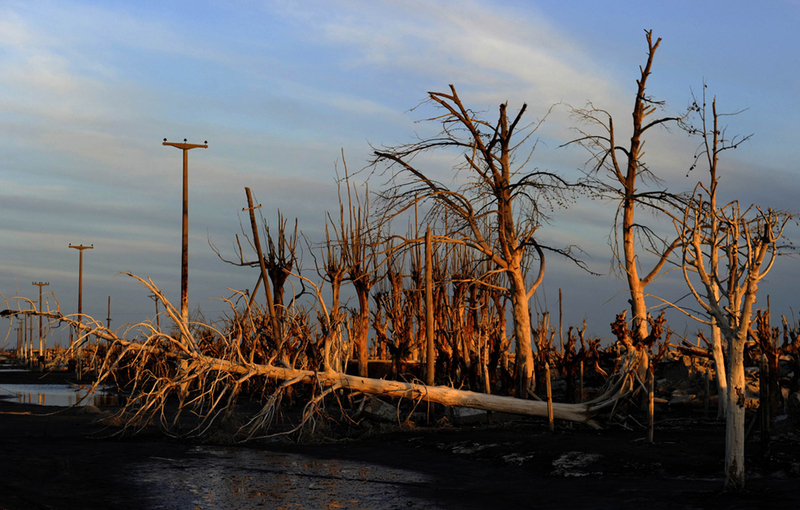 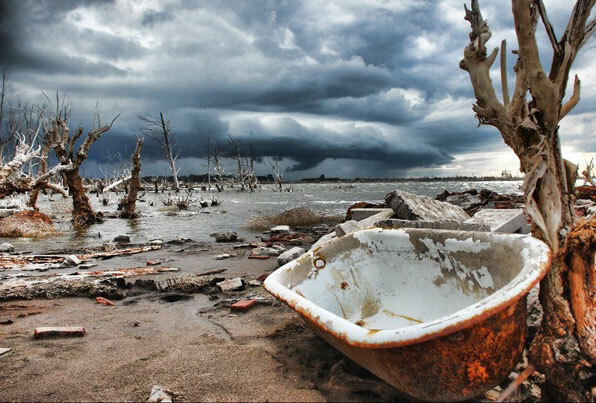 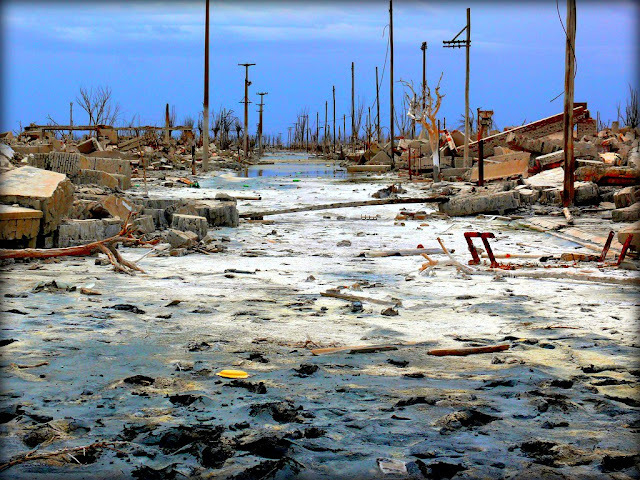 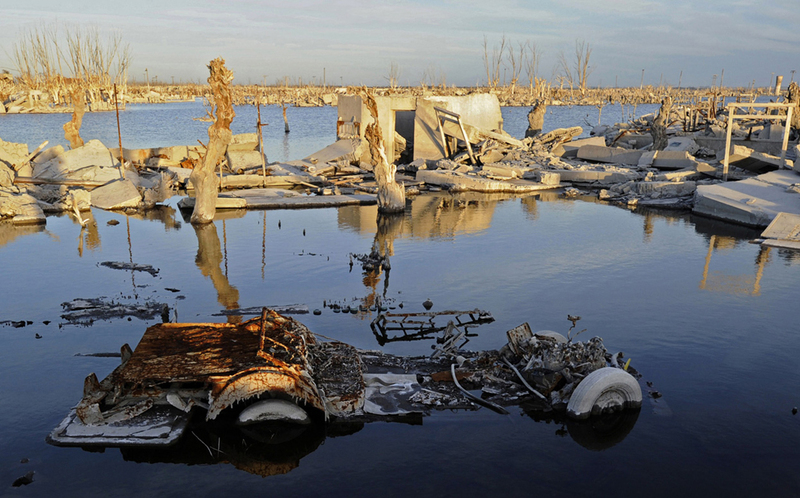 Built in the shores of Lago Epecuén, a lake with salt levels 10 times higher than the ocean's and known for its therapeutic powers, it reached a population of 5,000 in the 1970's. 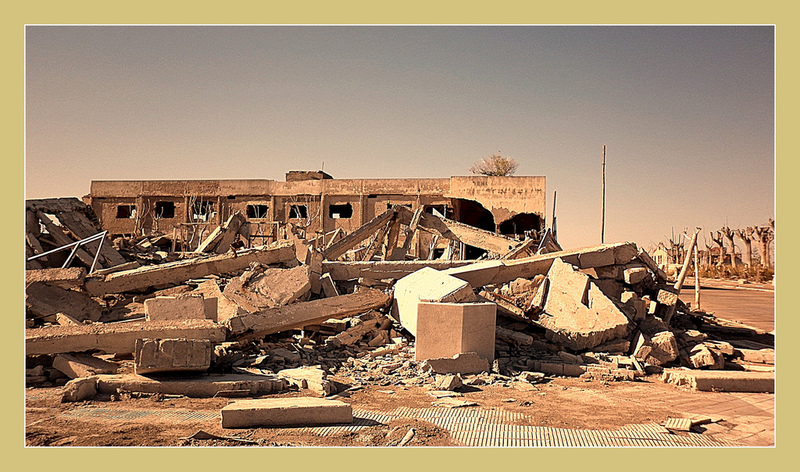 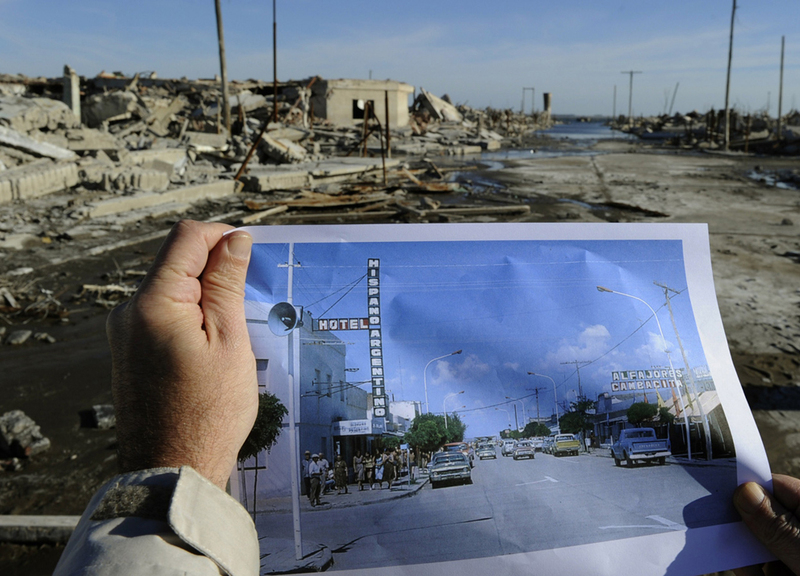 There were 280 businesses, including lodges, guesthouses, and hotels. On November 10th, 1985 long lasting wet weather conditions caused the enormous volume of water to break through the rock and earth dam and inundated much of the town under four feet (1.2 meters) of water. 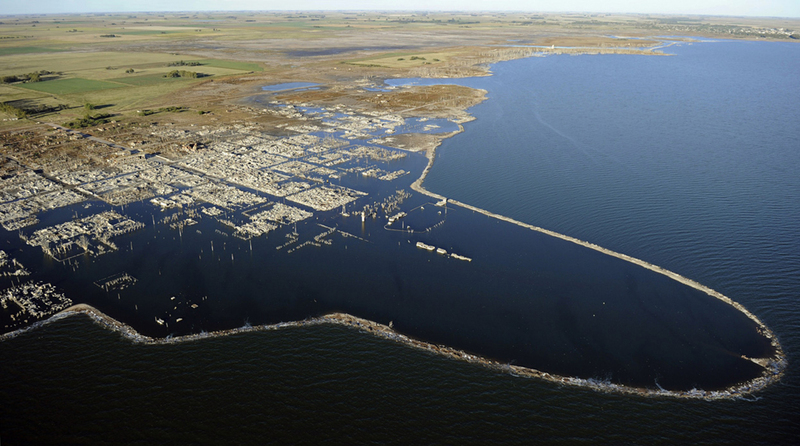 By 1993, the slow-growing flood consumed the town until it was covered in 10 meters of salt water. 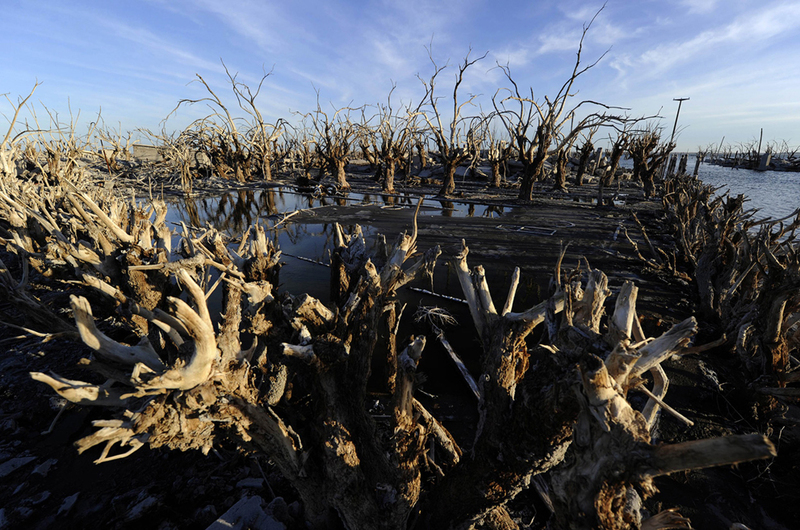 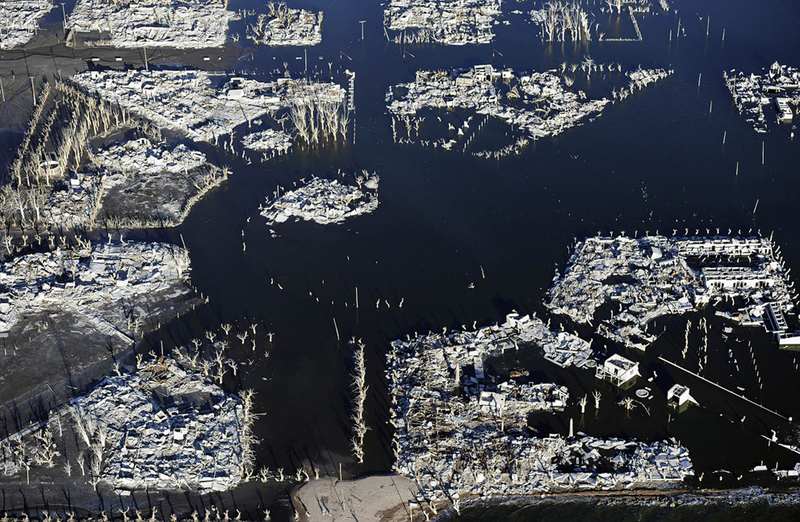 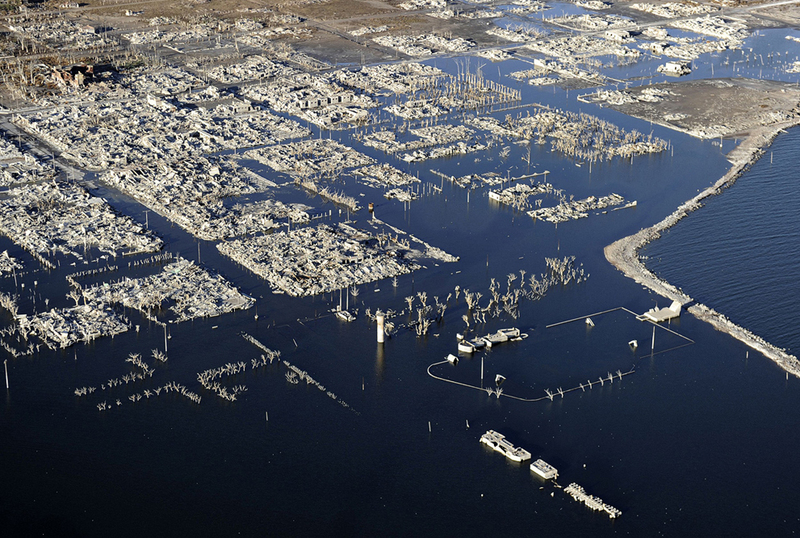 Nearly 25 years later, in 2009, the wet weather reversed and the waters began to recede. 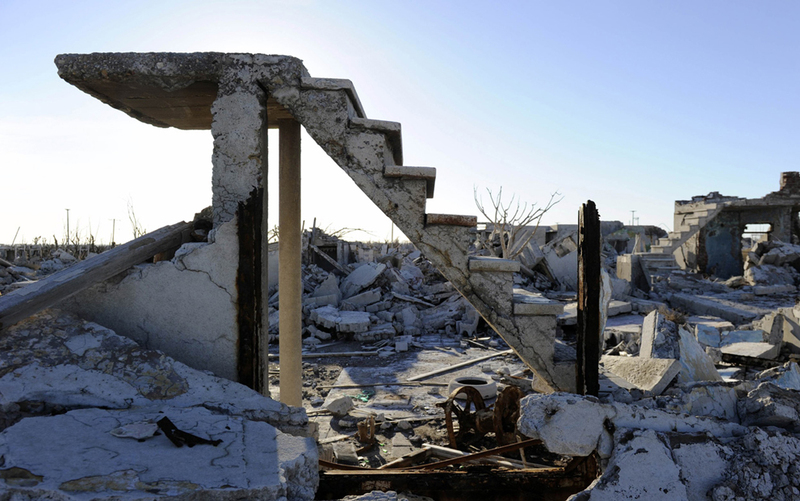 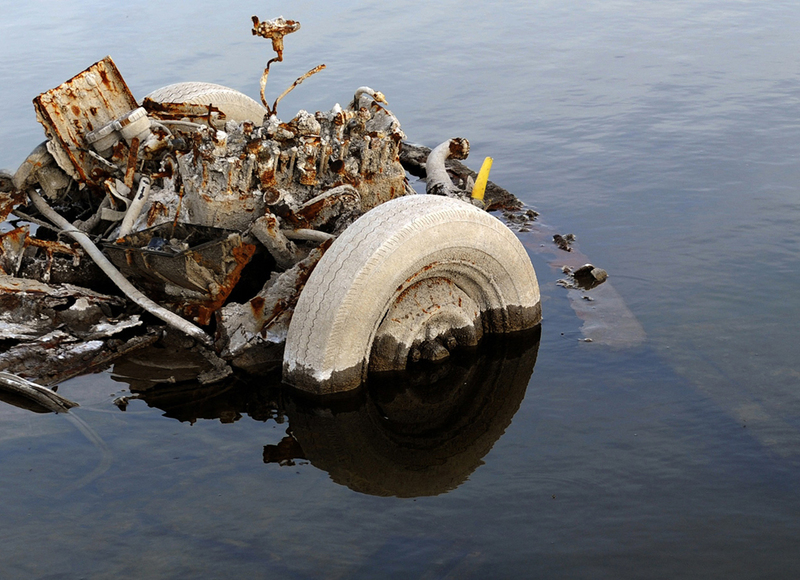 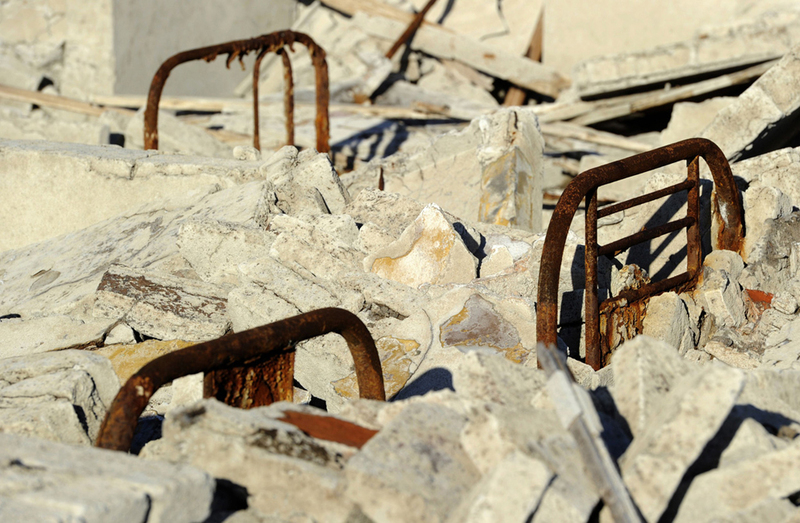 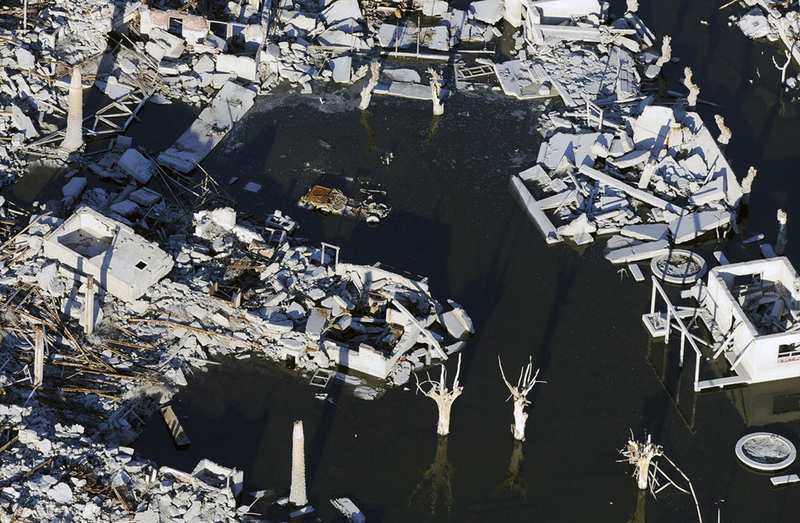 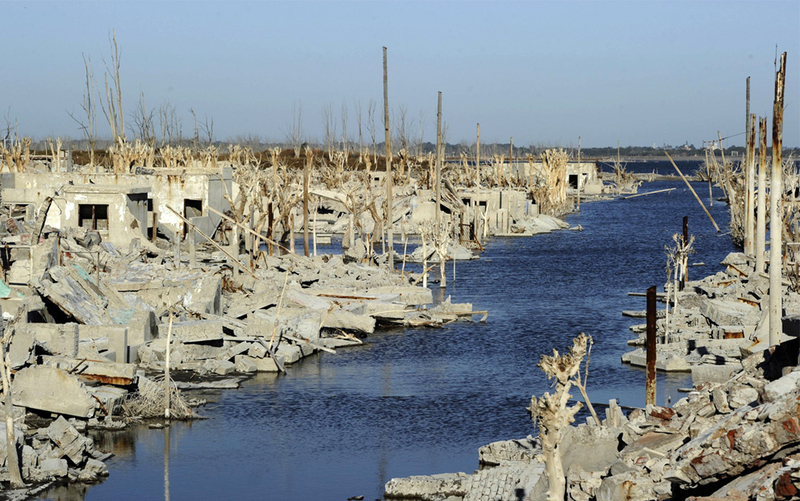 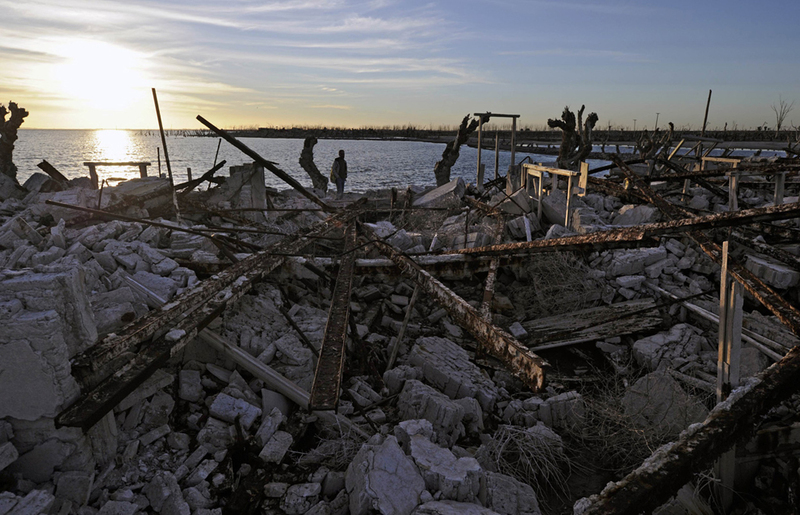 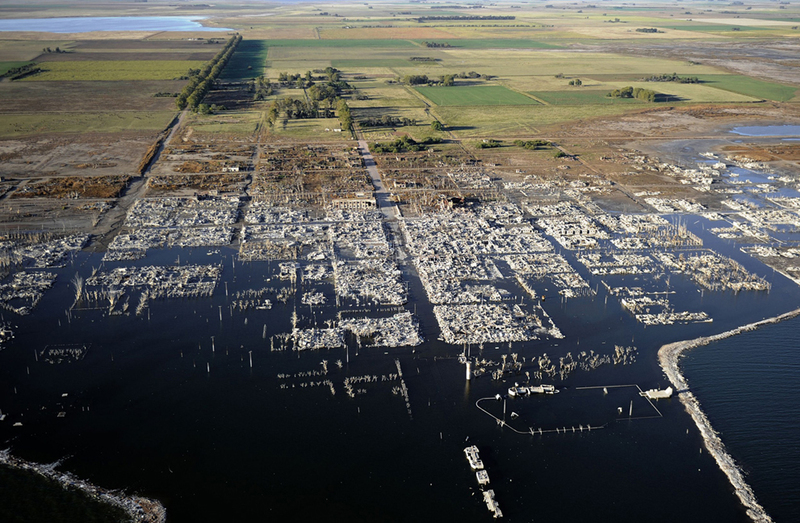 The ruins of Villa Epecuen started coming back to the surface. 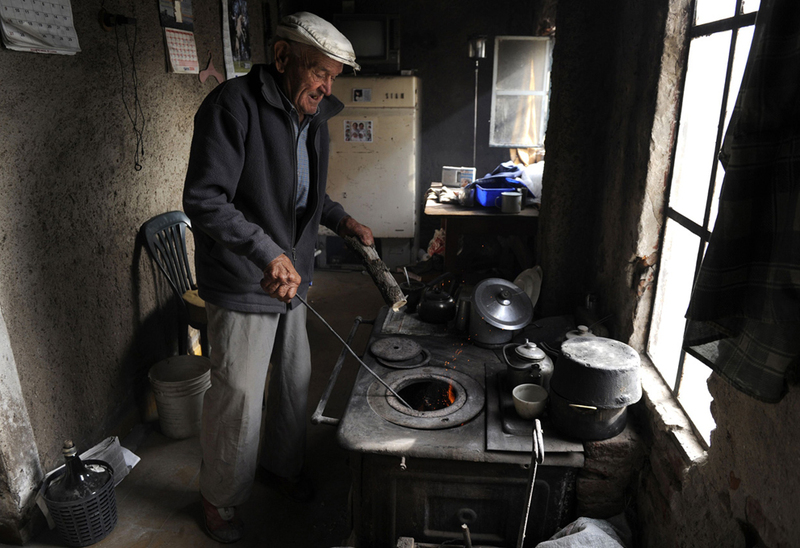 Only one local, the 81-year-old Pablo Novak returned back to his old town. 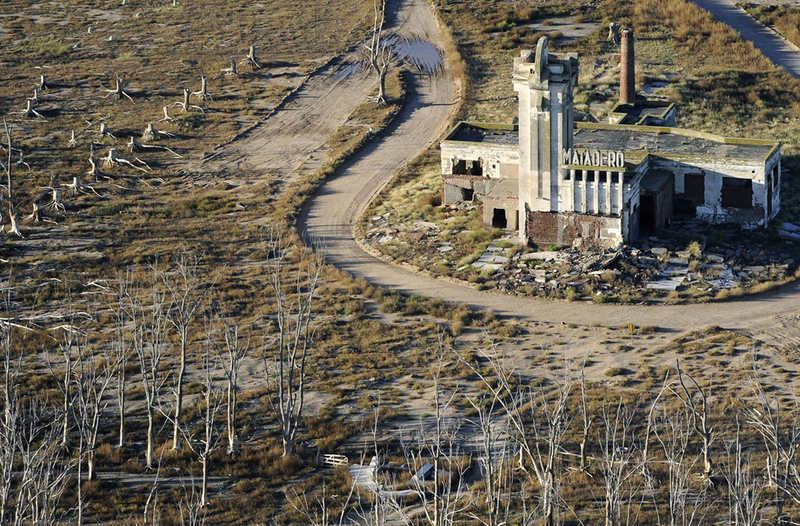 There was a movie filmed there semi-recently: And Soon The Darkness with Odette Yustman, Karl Urban, and Amber Heard.